Have you ever sat with someone as they were dying and wished that you could make it a better experience? Helping others face death with dignity and positivity is an act of profound kindness that also helps give the caregiver a chance to come to terms with this critical moment in our life's journey. 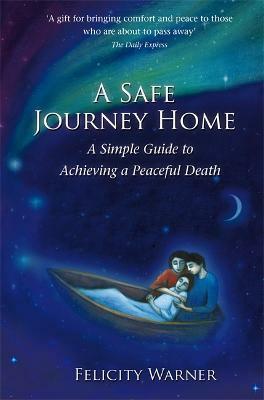 Felicity Warner reveals her guide to the unique experience of death in A Safe Journey Home, based on years of experience in hospice care. This essential guide will tell you all you need to know to help a loved one or friend to die gently and with dignity once medicine has reached its limits. You can honour their experience and nurture it, by giving them all your attention, kindness and love. Accompanied by beautiful illustrations that will act as a comfort to all those experiencing death or bereavement, this book is a powerful guide to a subject that affects us all. Felicity Warner is the founder of The Hospice of the Heart Trust, a UK charity that promotes holistic, compassionate and de-medicalised approaches to end-of-life care. Her Gentle Dying method is used by many health professionals.